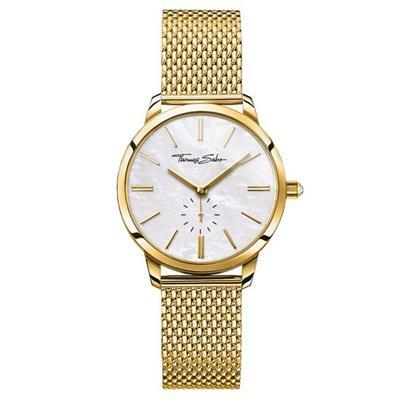 A striking watch in Yellow-Gold coloured, Stainless Steel, with a white mother of pearl face. This elegant watch has a 33mm dial and a modern Milanaise strap. The design is beautifully finished with Yellow-Gold hands an a sparkling cubic zirocnia set into the crown.